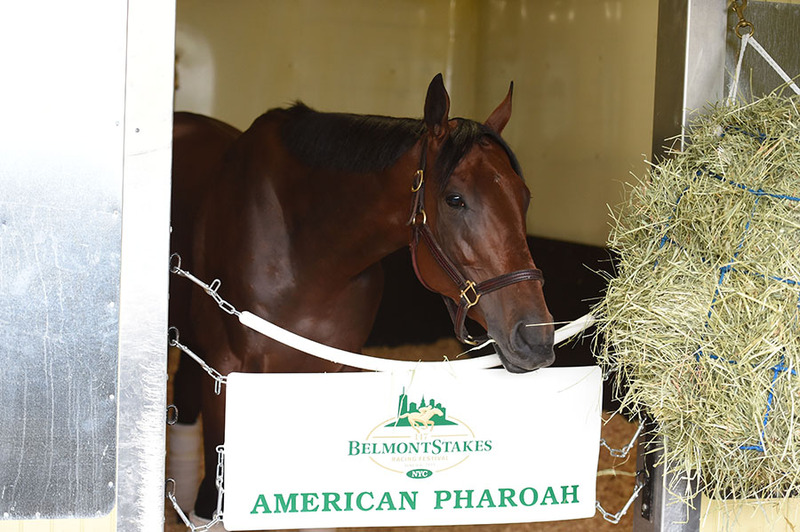 Can American Pharoah actually make it this year? 37 years have passed since the last Triple Crown winner, and many are giving up hope that it can be done in this day and age. Last year saw the same situation with California Chrome. He won the first two races, with high hope for the Crown, but unfortunately another horse stepped on him and he could not make the distance. The Belmont Stakes is this Saturday, on NBC with coverage starting early but post time is approximately 6:50 ET. This is the longest race of the three, a mile and half, competing against 7 others many familiar from the past two races and most fresh from only racing one of them. American Pharoah is clearly the favorite with so much riding on a win. Only 11 other horses have ever done it. 22 others have done exactly what he has so far and lost. Our hopes are with you Pharoah!